OINK flies again with a twentieth-anniversary edition of the original graphic novel, newly updated by the book’s creator, John Mueller! In a dark, oppressive future, pig-men work tirelessly feeding a society they cannot fathom as slaves of human masters. 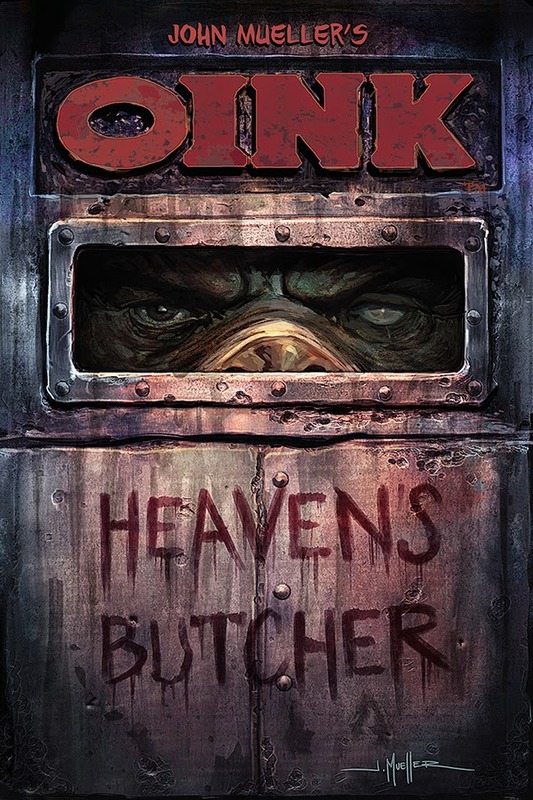 When Oink realizes that the dogma being forced on them is all lies, he undertakes a path of revenge and revelation. “When I produced the first edition of OINK in the nineties I was very young, and now in the journeyman stage of my career I wanted to tell a story that really reflected all that experience. This is my first creator-owned work in sixteen years. Dark Horse really understands what creator owned means, and I just could not be more excited about the future for OINK,” notes Mueller. Re-edited and repainted with entirely new sequences of story and art, Mueller’s OINK is set to open readers’ eyes to the sometimes terrible and brutal world in which they live. OINK hits stores February 25, 2015. Preorder your copy today!